Collins Booksellers - Best Whale Watching by Kimberly Peters, 9781516374236. Buy this book online. Whale watching is one of the most popular vacation and nature activities in many parts of the world. To see these beautiful creatures in all their glory provides an experience one is not likely to forget. Their sheer size and grace is truly a sight to be experienced by anyone at any age. It is truly nature at its very best! "Best Whale Watching" gives you the information and tips you need to get the most out of your whale watch experience. From when to go to where to sit to how to take awesome pictures, "Best Whale Watching" gives you everything you need to have the most fun, see the most whales, and to create a lifetime of wonderful memories. Over 60 pages of pure information, we let you know how to find the best whale watch, how to save money and even get whale watches for free, and some really cool "tricks" to get the very best pictures possible. "Best Whale Watching" is pure practical information. There is no "filler material" like "History of the Whale" or similar content. Instead we show you exactly the best way to get the most from your whale watch experience. This information is available nowhere else and has been gathered over the last 10 years of serious whale watching. 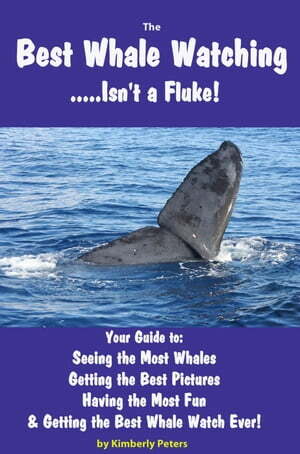 This is the book you need to get the best experience and the results for your whale watch.